Notes: Common in hedgerows, woodland edges and scrub throughout the British Isles, but not in northern Scotland, and rare in Ireland. 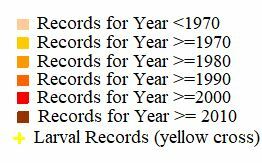 Recorded locally in Hampshire and on the Isle of Wight, but probably under-recorded. Wingspan 10-11 mm. 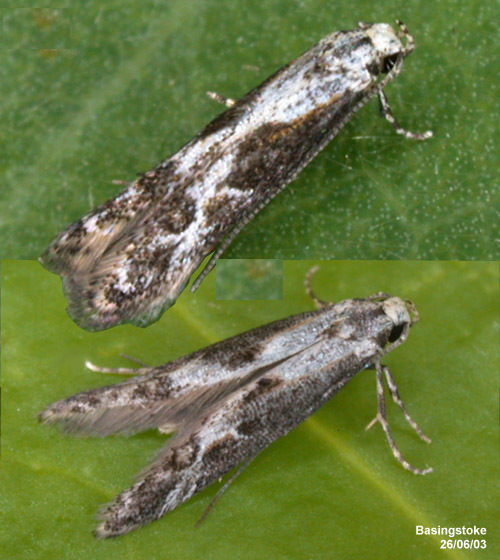 The species differs from Apple Pith Moth B. atra by its pure white markings on the forewing and the absence of yellow-ochreous scales at the base of the dorsum. Larva feeds within berries of Hawthorn, over-wintering as a pupa.